Functional Rhinoplasty refers to rhinoplasty performed for cosmetic reasons to improve the aesthetic appearance and simultaneously to restore the ability to breathe through the nose. 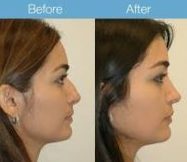 Functional Rhinoplasty is different from septoplasty, which involves only repair of the septum, internal wall that divides the nasal cavities and from cosmetic rhinoplasty, which is done to improve aesthetic appearance of nose. The Functional Rhinoplasty typically involves repair of the nasal valves (internal cartilage valves within the nostrils), performed to restore breathing and change the appearance of the nose. Functional Rhinoplasty is very common type of rhinoplasty done at MicroCare ENT Hospital and Research Institute, a truly international super speciality ENT hospital, Hyderabad, India. We are well equipped with state of art, modern technology to treat simultaneously internal nose problems and also external aesthetic problems of nose as one of the premier institute in the world. The term “rhinoplasty” refers to plastic surgery that involves making changes to the internal and external structures of the nose. This is separate from a septoplasty, which involves only repair of the internal wall that divides the nasal cavities, or from a “cosmetic rhinoplaty”, which is only concerned about the appearance. A “functional rhinoplasty” typically involves repair of the “nasal valves”, which are the internal nostrils, and can be congenitally narrow, collapsed, or scarred from prior surgery. 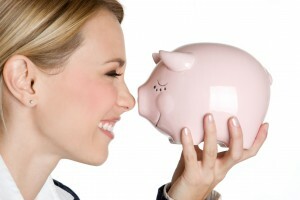 An improvement in nasal breathing is the primary benefit of a rhinoplasty performed for functional reasons. The procedure may also straighten the nose, repair post-traumatic or congenital deformities, and improve the appearance. A functional rhinoplasty may be performed under different types of anesthesia depending on patient and physician preference, including local, intravenous sedation (i.e. “twilight”) or general anesthesia. Your doctor incisions are made to allow access to the underlying cartilage and bone. When these incisions are hidden completely inside the nostrils, the procedure is referred to as “closed”. 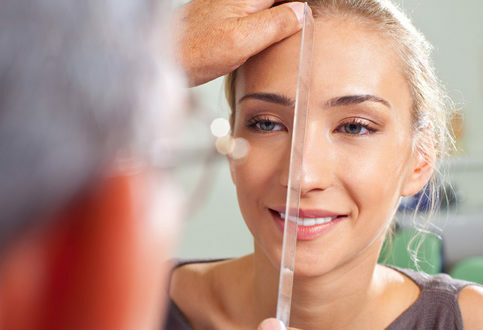 Often, a small incision may need to be performed at the base of the nose to improve exposure, in which case it would be an “open” functional rhinoplasty. Worsening (rather than improvement) in the nasal breathing.